The challenges faced by a company of any size to establish and maintain a profitable business are plenty. For small businesses, these challenges become magnified because, in part, of the comparatively reduced access to resources. Knowing this, it becomes necessary for small business owners to consistently find strategies to be effective within their industry at price points that balance risk with considerable return. When considering options for marketing their brand, e-mail marketing should be near the top of the list as one of the more important platforms. Not only is e-mail marketing relatively inexpensive, it generally has a high return on investment and flexibility of messaging not available through other channels. At the end of the day, money is what keeps companies in business, so let’s start there. Cost savings is what excites many marketers who decide to utilize e-mail marketing as a part of their overall plan. Saving money is important and should be noted as a plus for e-mail marketing, but the sales potential of sending well-constructed e-mails should add to that excitement. The Direct Marketing Factbook says businesses can expect up to $43.00 for every dollar they spend. That’s a 2013 stat, but even if you cut that amount in half, being able to get more than $20.00 for every dollar spent is still a valuable investment. When thinking about this practically, you see how it becomes possible. Being able to manage thousands of subscribers through sophisticated e-mail providers has become simple, responsive, and inexpensive. You’re now able to track the behaviors of these subscribers and introduce product or service offers accordingly with just the push of a button and without physically having to package anything: these can be coupons, a new product, or renewing an existing service. The potential to dictate offerings throughout the life cycle of a consumer is immense. One of the key challenges that small businesses face is being able to constantly communicate with their consumers without spending huge sums of money on radio, television, or billboard ad campaigns. With close to 70% of consumers preferring to receive commercial messages through e-mail, and over 70% of U.S. adults sending or receiving e-mails at least once a week via their smartphones, the level at which this allows small businesses to keep in touch with their consumers is enormous. Combine that with the fact that about 20% of consumers read all newsletters sent to their inbox to check if there are any offers. These are all huge benefits that play a direct role in adding to the bottom line of small businesses, but the difficulty of standing out as a brand among multiple competitors is still present. However, having a strategy in place which involves e-mail marketing will certainly enhance the opportunity for a small business to be successful. Macromark has been a leader in brokering e-mail lists and developing e-mail marketing campaigns for their clients. Visit our web site for a history of how Macromark has been able to forge a direct marketing empire over the course of three decades. Totka, M., “What’s Hot for Email Marketing This Year,” Small Business Trends web site, February 23, 2015; http://smallbiztrends.com/2015/02/successful-email-marketing.html. Roggio, A., “Without Email Marketing, You’re Probably Losing Sales,” Practical Ecommerce website, February 16, 2015; http://www.practicalecommerce.com/articles/80525-Without-Email-Marketing-You%E2%80%99re-Probably-Losing-Sales. 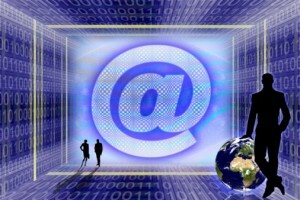 Lynch, B., “Three Reasons You Need Email Marketing,” The National Law Review web site, February 25, 2015; http://www.natlawreview.com/article/three-reasons-you-need-email-marketing.